One of the first things we associate with Kaga (加賀藩) is gold. Well, the armor I introduce in this post dates before the establishment of the fief but matches insofar as all of its major parts are gilded. The iron sabiji 62-plate suji-kabuto was made by Myôchin Yoshitsugu (明珍義次). The Masuda-Myôchin genealogy says that he lived in Iwaki (岩城) in the northern Ôshû province around Eiroku (永禄, 1558-1570) and that he was the son of Yoshimichi (吉道) and a student of Yoshimichi (義通). But as the latter was active around Daiei (大永, 1521-1528) and Kyôroku (享禄, 1528-1532), a master-student-relationship might be ruled out. The gilded nimai-dô is a so-called “Niô-dô” (仁王胴) as it resembles the naked chest of the strong guardian deity Niô. Basically it is an embossed hotoke-dô (仏胴) and there exists also the term “abara-dô” (肋骨胴, lit. “rib-bone cuirass”). The differences between Niô-dô and abara-dô are not clearly defined but Sasama suggests that the former applies to dô which are not that strongly embossed and the latter to dô where the rib-bones stand out prominently. Anyway, the lacing is light crimson and goes very well with the gilded dô and gilded lamellae of the shikoro, sode and kusazuri. Also the ieji of the kote and suneate is of the same color. The lowermost row of the kusazuri is furnished with white fur and very striking are the bright haidate. Let us now turn to the connection with the Kaga fief. This suit was once a present of Katô Mitsuyasu (加藤光泰, 1537-1593) to Murai Nagayori (村井長頼, 1543-1605) and this is why the janome bull´s eye (蛇の目) crest of the Mitsuyasu branch of the Katô is seen around the navel. Incidentally, Nagayori´s crest was a butterfly in a round. Mitsuyasu was born in Mino province where he became a retainer of the then local hegemon, the Saitô clan (斎藤). After the Saitô were defeated by Nobunaga in 1564, Mitsuyasu became a retainer of Nobunaga´s retainer the young Hideyoshi. 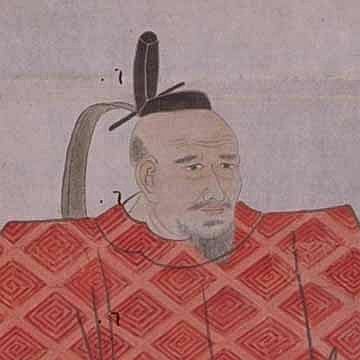 He did well in the various battles of Hideyoshi and eventually ended up with the lands around Kôfu Castle (甲府城), Kai province, with an income of 240.000 koku. He got these lands as exchange for his former possessions in Mino province which were given by Hideyoshi to his adopted son Hashiba Hidekatsu (豊臣秀勝, 1569-1592). After redirecting his functions to his younger brother and to his adopted son, he followed Hideyoshi´s call for military commanders leading his Korean campaign. But he died abroad in a fieldcamp of an illness and his body was brought home to be buried in his home lands. Well, there was some speculation that he was poisoned by Ishida Mitsunari but several military commanders got sick in the same campaign Mitsuyasu participated. By the way, because of this rumour, his second son Sadayasu (加藤貞泰, 1580-1623) changed sides to Ieyasu to fight against Mitsunari at Sekigahara. It is unknown at which occasion the armor was presented to Murai Nagayori. Nagayori was initially in the service of Maeda Toshiie´s older brother Toshihisa (前田利久, ?~1583/87) but Nagayori came into the service of Toshiie when Nobunaga decided that the latter should take over the Maeda clan. Toshiie trusted him a lot and even granted him the character “Mata” (又) from his own first name “Matazaemon” (又左衛門) whereupon Nagayori took the first name “Matabei” (又兵衛). Nagayori fought subsequently on the side of the Maeda in their major battles, for example against the Ishiyama-Hongan-ji and at Nagashino. When Toshiie became the daimyô of the Kaga fief, Nagayori was promoted to the rank of karô (家老, house elder) and played an important role in forming the foundations of the fief after Sekigahara. After Toshiie´s death, his wife Matsu (まつ, 1547-1617), her Buddhist name was “Hôshun´in” (芳春院), assured the safety of the Maeda clan by voluntarily going as a Tokugawa-hostage to Edo. Nagayori accompanied her to the new capital where he died in Keichô ten (慶長, 1605). 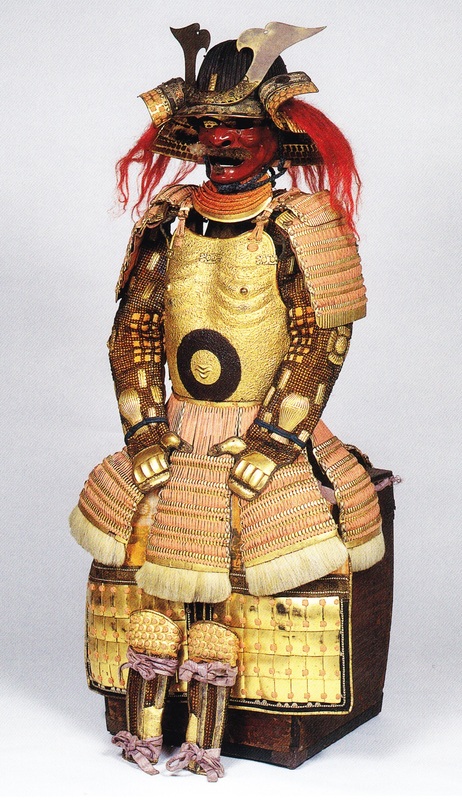 The golden armor was inherited within the Murai family which belonged with Nagayori´s appointment to karô to the so-called group of the „Kaga-hakka“ (加賀八家), the eight house elders of the Kaga fief. With Nagayori´s son Nagatsugu (村井長次, 1568-1613) as new 1st generation of the Kaga-hakka-Murai, the family received the honorary title „Bungo no Kami“ (豊後守) and an income of 16.500 koku. 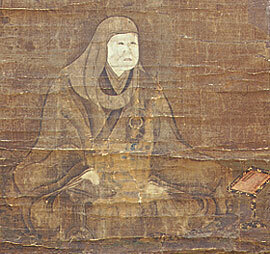 To strengthen the connection between the Maeda and the Murai, even Toshiie´s daughter Chiyo (千世, 1580-1641) was divorced from Hosokawa Tadaoki´s son Tadataka (細川忠隆, 1580-1649) and married to Nagatsugu. The eleventh and last of the Kaga-hakka-Murai line was Nagaakira (村井長在, 1836-1893). 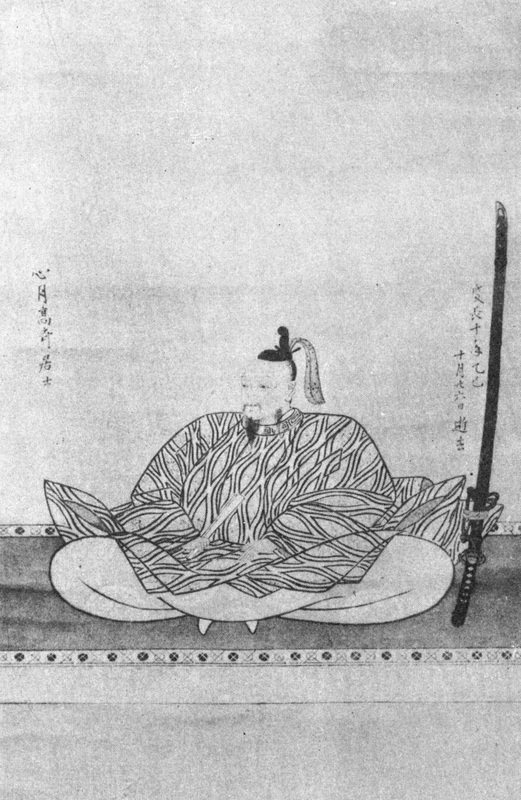 Maeda Yoshiyasu (前田慶寧, 1830-1874), the last Kaga-daimyô, ordered Nagaakira to support the bakufu troops in 1868, leading reinforcements sent by the fief to Kyôto. But on his way, he was informed that the bakufu troops lost the Battle of Toba-Fushimi (鳥羽・伏見の戦い) and thus returned to Kaga. After the Meiji Restoration the new government appointed Nagaakira to governor of the Kaga fief until the han were abolished in 1871. Nagaakira´s successor Chôhachirô (村井長八郎) got the artistocratic rank of baron in 1900. I “knew” this armor, but not the background story. Thanks a lot!